The Cheverly POOL! It will open on Saturday. I just can’t tell you how happy this makes me. If you are not a member at our local pool, sign up now. (because it normally takes about 3 years to become a member and signing up doesn’t cost you anything…) The pool is one of the best parts about living here. You can see your friends, my kids see their friends, play a little tennis or sand volleyball…you get the point. It’s simply amazing that the pool is right here in our backyard. Thanks to Cheverly resident Rachel Dabney Rice, we have a ton of fun events to look forward to, including this weekend. Now you might be thinking, great news Lisa, but I’m not a member. Check out the email below that Rachel sent to the Cheverly listserv. Email her directly if you’d like to go. 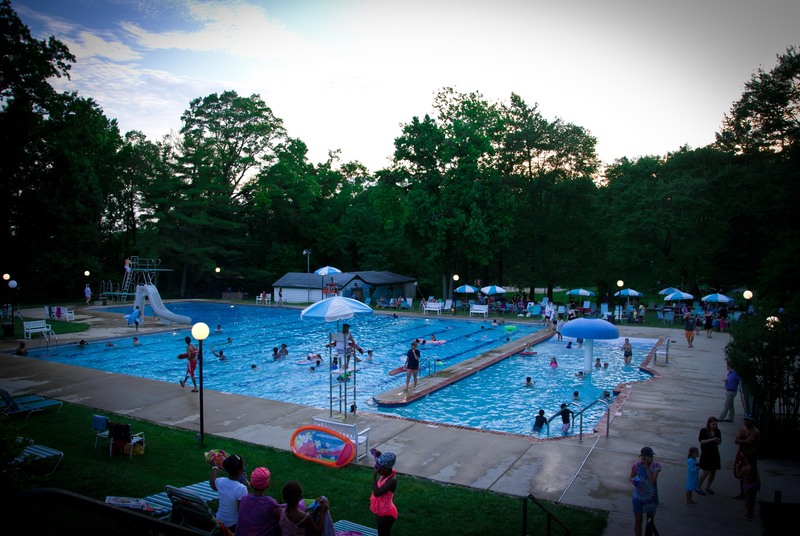 The Cheverly pool is opening in just 3 weeks which means lots and lots of fun events all summer long!!! I wanted to give you heads up about two family friendly events in June so you can put them on your calendars. Friday June 5th is Family Movie Night at the pool. We will be showing the original Star Wars Movie: A New Hope. Doors open at 6 for picnic on the green, floats, raffle and more! One of the raffle items is a 2 foot tall remote controlled inflatable R2D2. How cool would it be to win that?!? Saturday June 13th is Teen Night! Comic the DJ is back! Pizza, Sundae Bar, Glow in the Dark Cotton candy, prizes and more! This year we will have an airbrush artist on hand doing realistic water proof tribal tattoos! Teen night is for the 12-17 year old crowd only. If you are not a pool member but would like to attend, please email me directly. The Cheverly Pool is all about community and we can arrange for you to come as a guest.